Over at We Are that Family, they're having another themed edition of Works for Me Wednesday. This time they're looking for answers to "Mom, I'm Bored". I've come up with a list of 10 (you could do one every week day for two weeks and then repeat!) but, I know in my files I've got a list of other ones somewhere. Check back later in the week, hopefully I'll get it posted. 1) Visit the library - Our library has a summer reading program where the kids (and adults too!) can win prizes. They also have story time where the kids hear stories, sing songs and do a craft. There are multiple libraries in our area too, so we could hit more than one if we wanted to. 2) Go to the Zoo - We've got a zoo pass, it's paid for itself in two trips to the zoo. The nice thing is, I don't feel bad, if we only go for an hour, or if we go and it suddenly starts to pour. Most of the passes offer reciprocation at other zoos too, so we can get into other zoos in the country for half price or free (which makes vacations cheaper!) There are children's museums and aquariums with passes too. 3) Movies - A lot of Movie theaters have a discount kids day (sometimes with special movies) during the week. Check the theaters in your area. 4) Go Bowling! - Check out if your kids can bowl free in your area! 5) Do a craft - My kids have art boxes with all kinds of different supplies in it that they can use pretty much whenever they want. This morning, my daughter made a book bag out of paper, while she was waiting for everyone else to get ready. 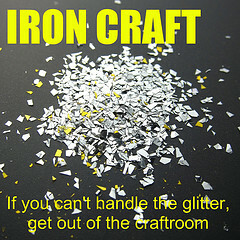 Crafts don't need to be structured, just give them the supplies and see what they come up with! 6) Make Playdough - Here's my favorite recipe. 7) Make a snack - My kids love helping in the kitchen. Last night, my picky eater ate an entire enchilada because she helped make it. Even if it's not time for a snack, maybe they can do something to help prepare for dinner: make bread, make jello, snap green beans, etc. 8) Make crayons - Take old, broken crayons and give them new life by taking the wrappers off and melting them in a muffin pan (in the oven, or try it outside!). 9) Plant a garden - I'm giving a small section of my flower bed to my daughter to plant in. She's already got some daisies that we're going to transplant to there and a few other seeds. I was hoping to give her some tomato plants too, but I don't think I'll have extras now. 10) Play with water - When my youngest was one, she had a blast when I gave her a bowl of water and an old yogurt cup to play with outside on the patio. Older kids can play does it sink or float with various objects. They can also learn about volume by guessing which containers hold more water. You could always try making paper boats too! 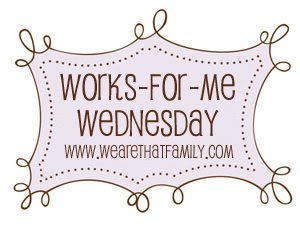 For more Summer activities check out Works for Me Wednesday over at We Are THAT Family. We go to the library a lot in the summer. We have a great reading program with lots of extra prizes and programs. I love it! I always think about making playdough with my kids. I'll add it to my list. Thanks! Mu children like to paint with water outside. They just use chip brushes and buckets of water! They also like playing with clay, painting with watercolors, running through the sprinklers, digging in the yard, playing board games together, and doing puzzles. Great Tips! Thanks. All real things we can do.